You will always have the support of our company when home appliances act up. That’s what we do here at Appliance Repair Teaneck. 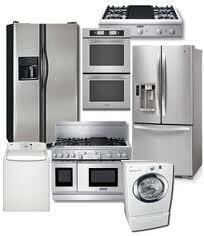 We take care of appliances and thus your needs. Our company is experienced and well-equipped to diagnose and tackle problems in one go. You can trust the skills and expertise of our pros and rely on their quick response in the event of urgent problems. We fix all home appliances but also install new ones. You can call us to replace parts and provide preventive appliance service. We are at your disposal for all requests. Whether you need laundry or kitchen appliances repair, our techs are trained and prepared to do the required service. We keep the equipment needed to diagnose problems in our trucks. What our pros also carry is replacement parts and all kinds of tools. Our team only uses the best gear available to ensure high quality and effective home appliance service. We are equally well-equipped when we come to routinely check your appliances. Our local appliance service company is flexible when it comes to such appointments. The intention of our team is to come and inspect appliances to prevent their problems in the long run. This way, we can spare you from the hassle of emergency problems and sudden expenses. Always trust the installation of new appliances to us. Our appliance repair technicians are also available to install any new stove, dryer, washer, oven, range, or dishwasher. With our help, you will feel safe and assured to use your home appliances. Never hesitate to send us a message if you have questions. Always call us here at Teaneck Appliance Repair for fast response services.